Believers today are frequently referring to God as “Papa” and “daddy” or “daddy God.” Every time I hear someone do that or read something they wrote on Facebook or in a blog that includes a reference to “daddy God” my spirit cringes. There is just something wrong with this “familiar” reference to God, our Heavenly Father. And, I understand that if we translate this Aramaic word it is essentially equivalent to the English word “Daddy.” But, in the context of Jesus’ Words there is a respect and reverence for His Heavenly Father in the situation that is simply not conveyed by the English word ‘daddy’ and its regular use today. A literal translation of a word does not always correctly represent the full meaning and intention in a different time and a different culture. Here Paul has chosen the word “Abba” which is an informal Aramaic term for Father that conveys a sense of intimacy. But, does the English terms “Daddy” or “Papa” convey the same sense of intimacy today? In this verse the context of the word ‘Abba’ conveys the sense of tenderness, dependence, and a relationship free of fear or anxiety. Here it is a term of endearment, used by young children to speak to their earthly fathers. The word ‘Abba’ in Hebrew society contained a deep sense of respect and a recognition of family authority that the word “daddy” no longer conveys today. We live in a different time and a different culture than the one represented in the pages of the New Testament. So, the word ‘Abba’ is a term that doesn’t actually mean “Daddy,” the way a lot of people will tell you and the way it is used today by many. You simply can’t take a Bible word out of its cultural and societal context and translate it into a current word and still manage to translate the full meaning behind the word in its original context. Bible words are found in a social context. And, they were used in a cultural context. In the case of “Abba,” Jewish people living in that historical time and place would never have dreamed of using such a casual English term like ‘daddy’ as a means of parental address. This would be the case in both the relationship with their natural father as well as their Heavenly Father. It would have been the height of disrespect. ‘Abba’ represented so much more than the word ‘daddy’ does today. Our term “daddy” in our cultural context lacks the sense of respect and reverence that a person in Biblical days using the word “Abba” would be sensing and feeling. Our English word ‘daddy’ is too informal and does not represent the biblical understanding of ‘Abba’ properly. Biblically, while ‘Abba’ does connote a level of family intimacy, it sends up more of the idea that “my dad can beat up your dad,” and that our Heavenly Father is not caught off guard or pushed around by anything that seems too big or oversized for us, no matter what it is we are facing in life. Again, ‘Abba’ is a term representing His power, His position, His ability, His authority, and our respect for His constant and wonderful care. 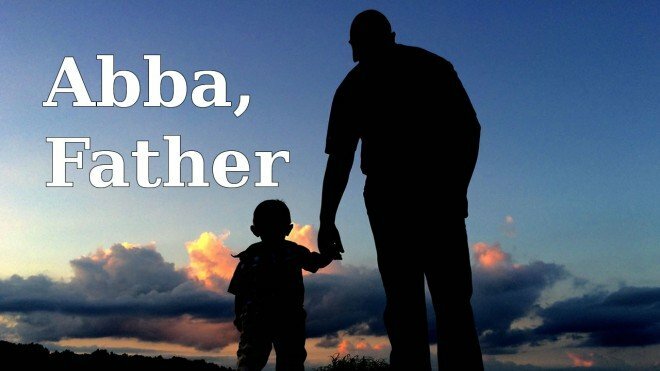 And in our culture today, generally the word ‘daddy’ does not bring to mind the respect, reverence and authority that the original word ‘Abba’ did for the early believers. “Daddy’ is simply too familiar and somewhat disrespectful when referring to our Heavenly Father. So, my point, is that ‘Abba’ is a term that does not actually mean “Daddy,” the way a lot of people will tell you. “Daddy” is simply too casual a word to use in the context of referring to “Abba” as understood biblically. Word for word replacement – Aramaic to English – simply does not do justice to the meaning and context of the original word.